Suthers Law Firm continues to investigate claims of those seriously injured by Ethicon Physiomesh, a device used in hernia repair procedures. A hernia is a bulge of body tissue that occurs through an opening within the abdominal wall muscles. A hernia, which can occur in any location on the abdominal wall, is caused by weakness or thinness of the abdominal wall, and is often repaired using surgical mesh, such as Ethicon Physiomesh. Unfortunately, there have been numerous serious complications reported across the country associated with Ethicon’s Physiomesh product. 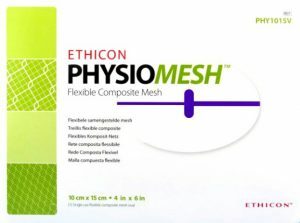 In May of 2016, Ethicon announced a global market withdrawal of the Physiomesh Flexible Composite Mesh product. The removal of the mesh product from the market came after two European databases that showed Physiomesh was associated with higher rates of hernia recurrence and revisions compared to similar patches when used in laparoscopic ventral hernia repairs. As of October 13, 2017, there were 116 lawsuits pending in the Multi-District Litigation (“MDL”) proceeding in the United States District Court for the Northern District of Georgia. MDL proceedings are meant to streamline and consolidate numerous cases filed against the same defendant. These suits allege that the use of Ethicon’s Physiomesh in hernia repair procedures resulted in complications such as pain, infection, hernia recurrence, adhesion, intestinal blockage, mesh migration, mesh shrinkage, and the need for revision surgeries. There are also allegations of permanent internal organ damage as a result of complications associated with Physiomesh.